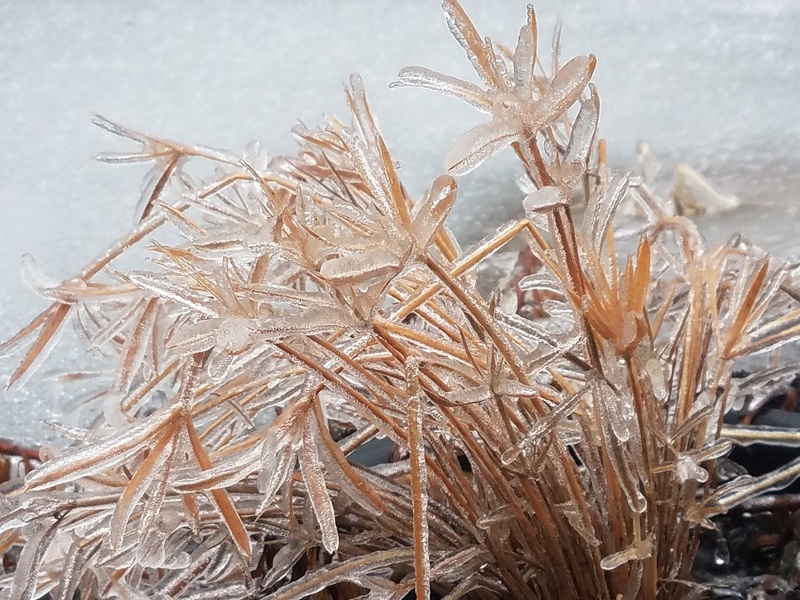 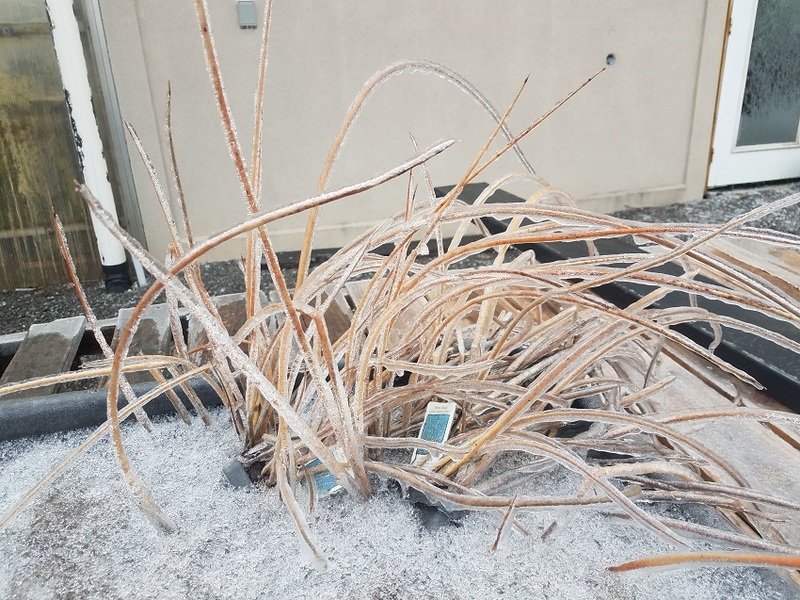 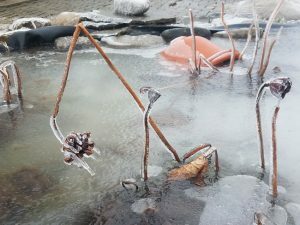 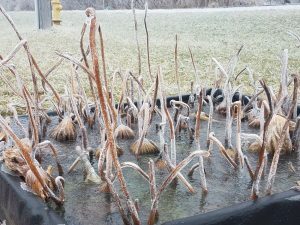 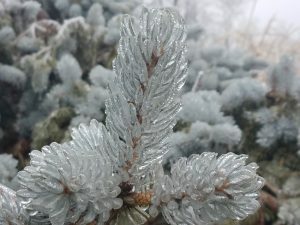 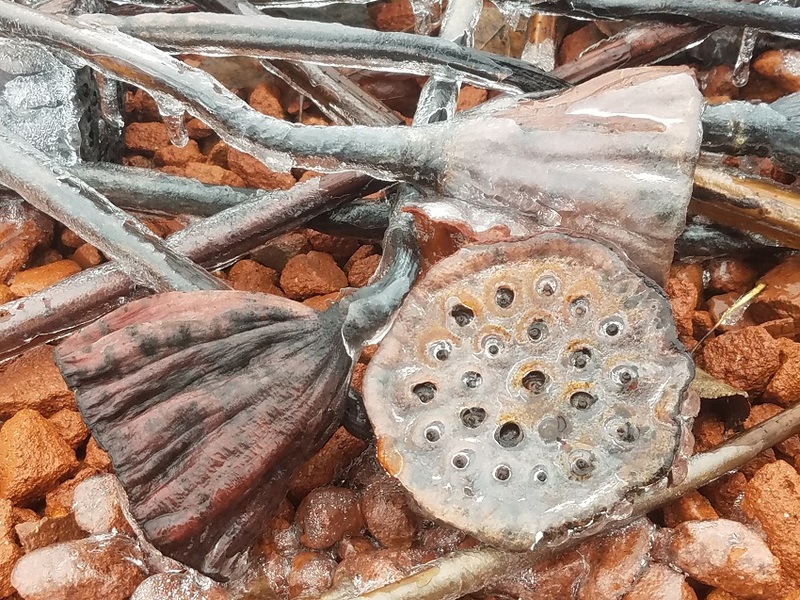 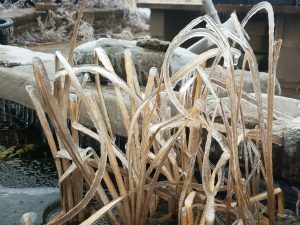 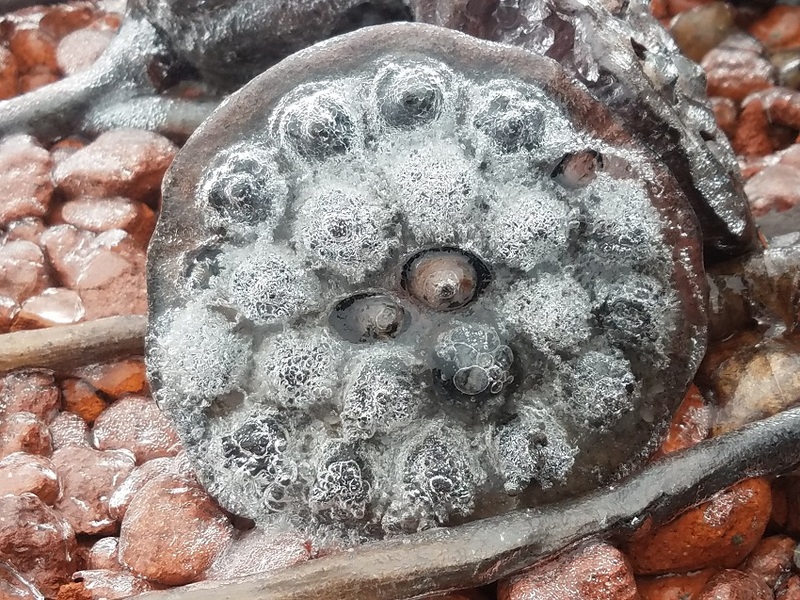 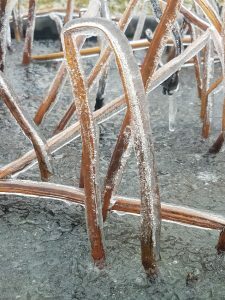 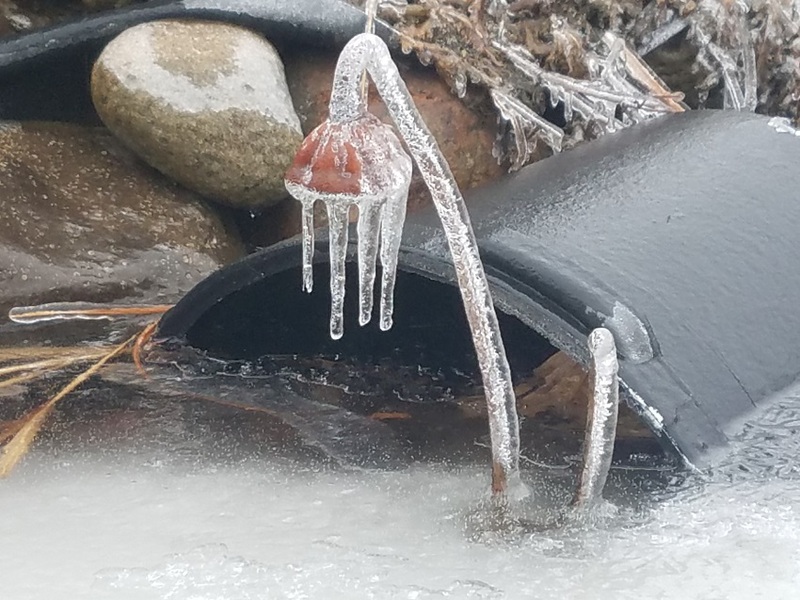 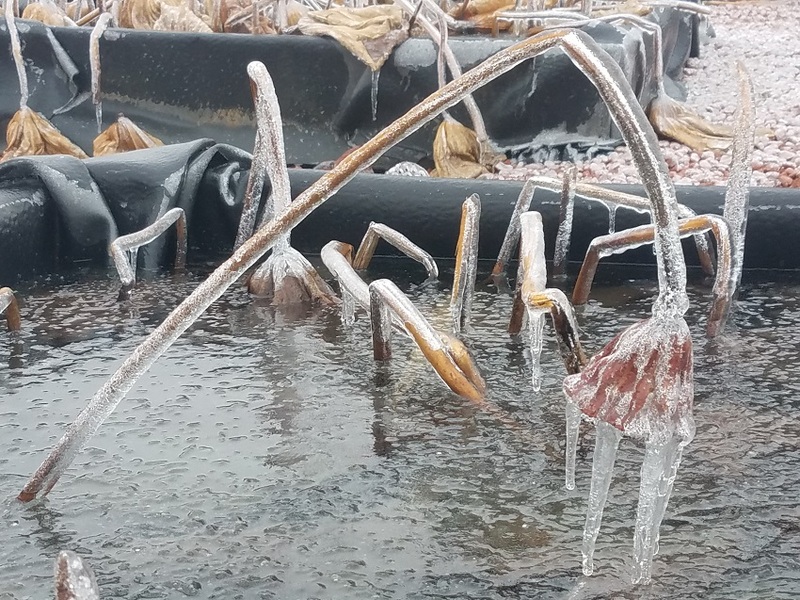 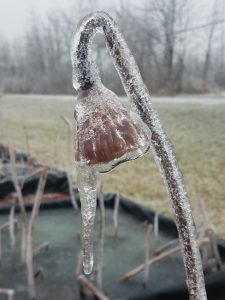 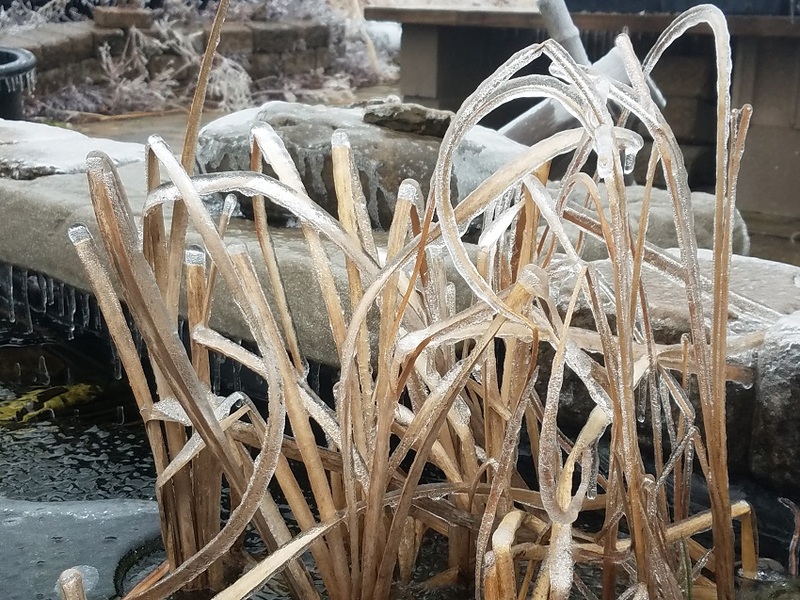 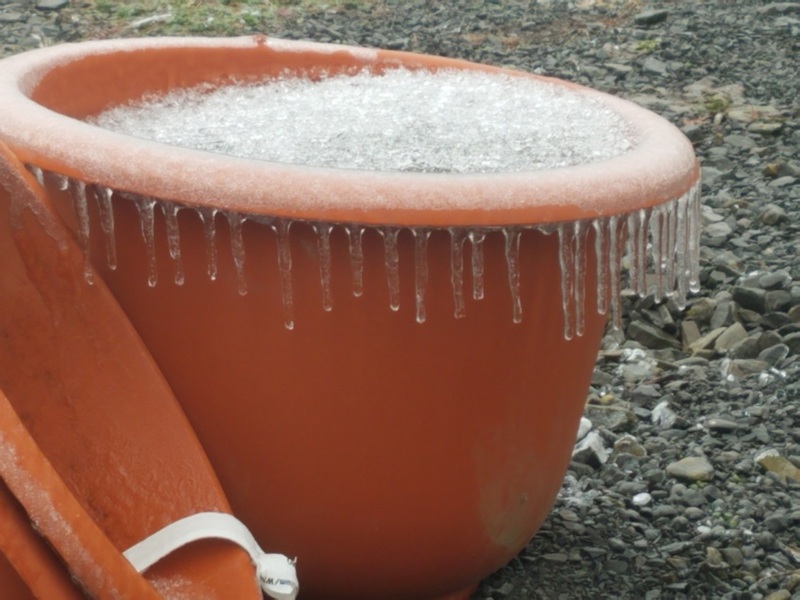 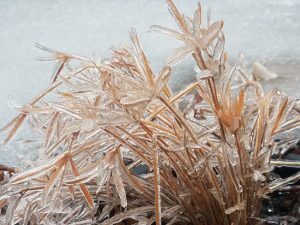 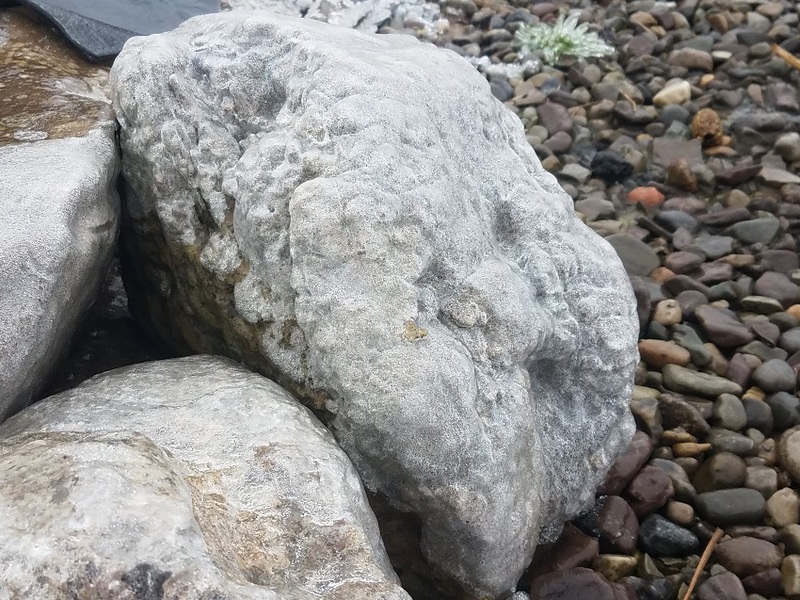 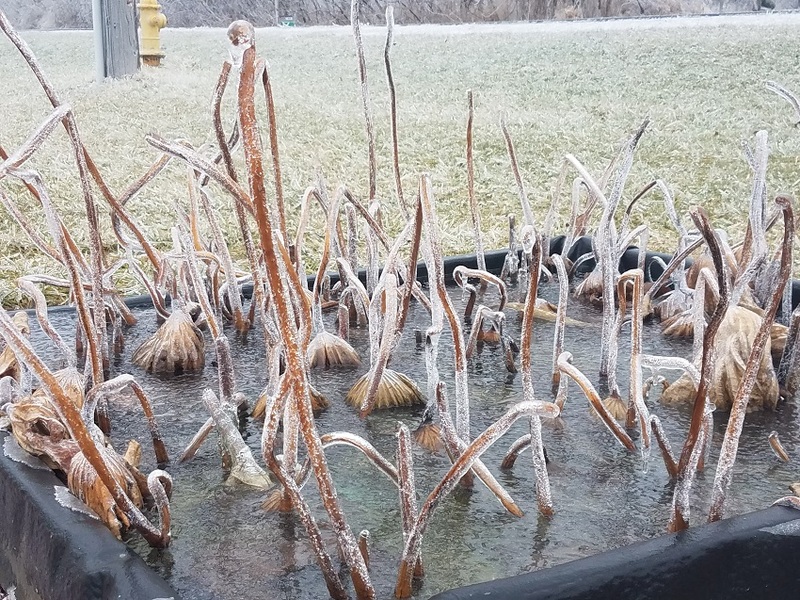 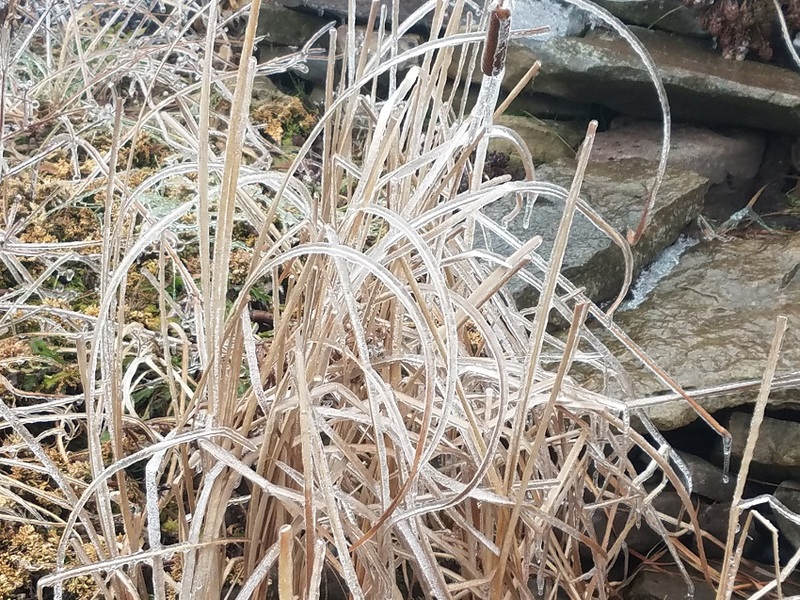 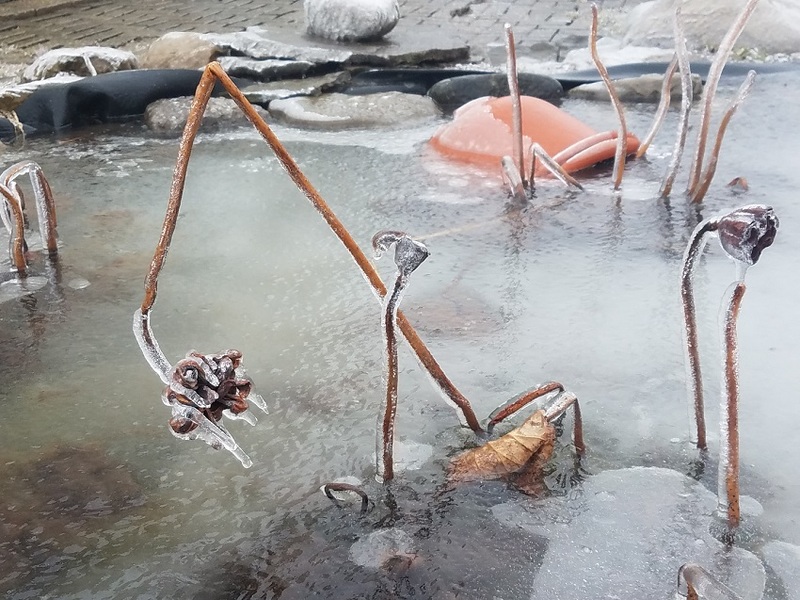 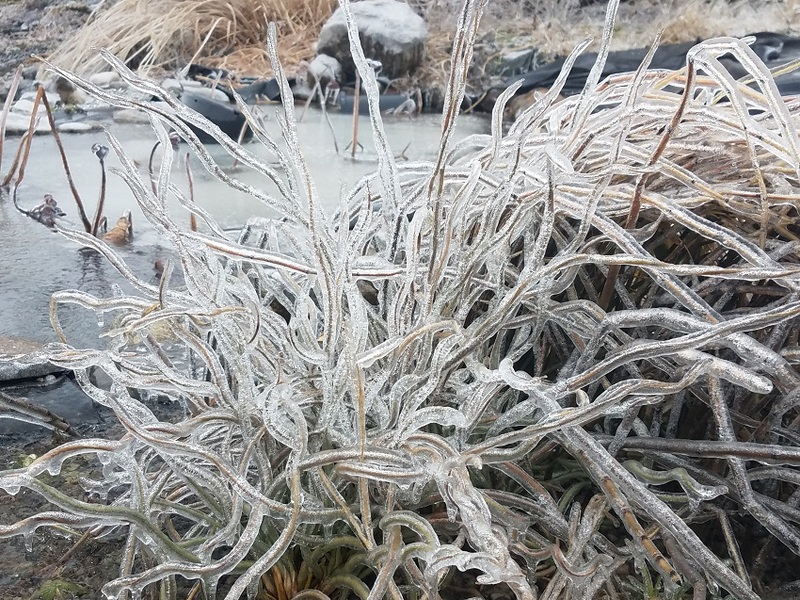 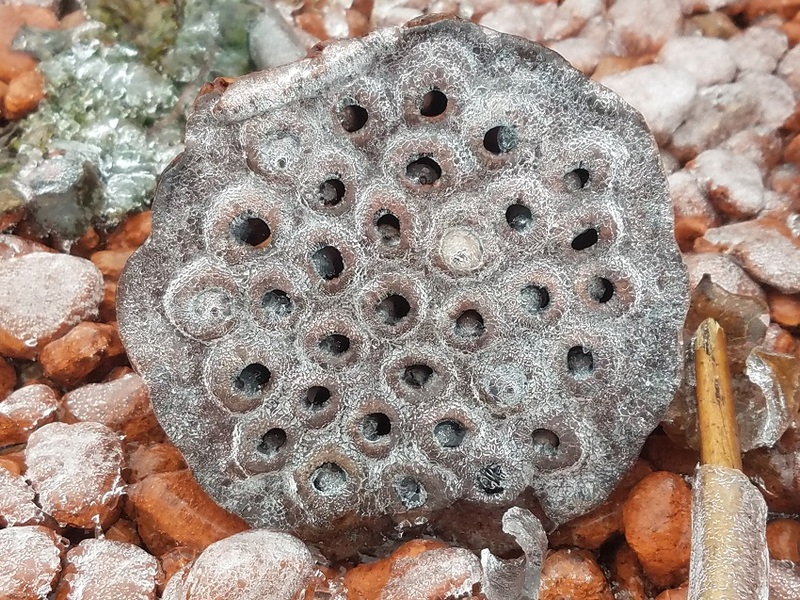 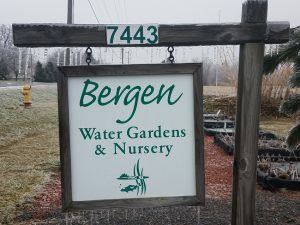 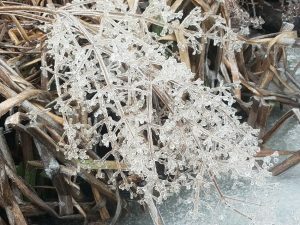 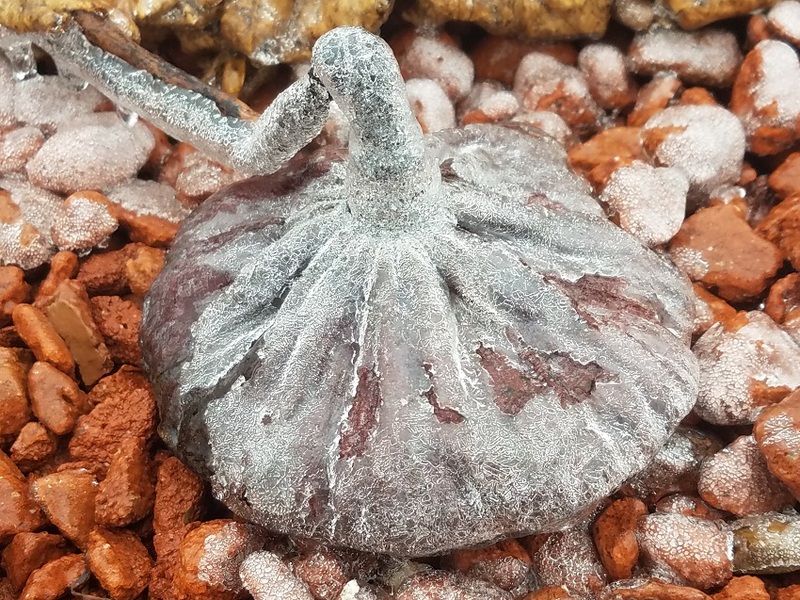 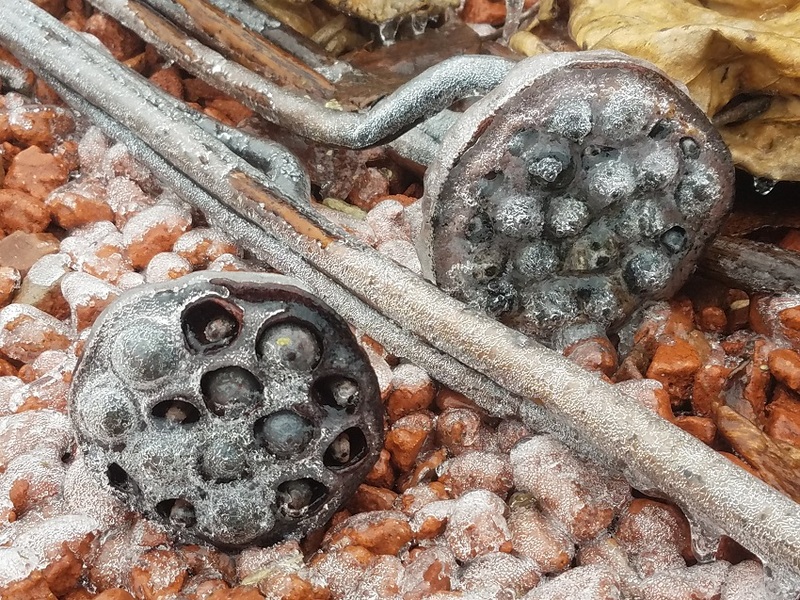 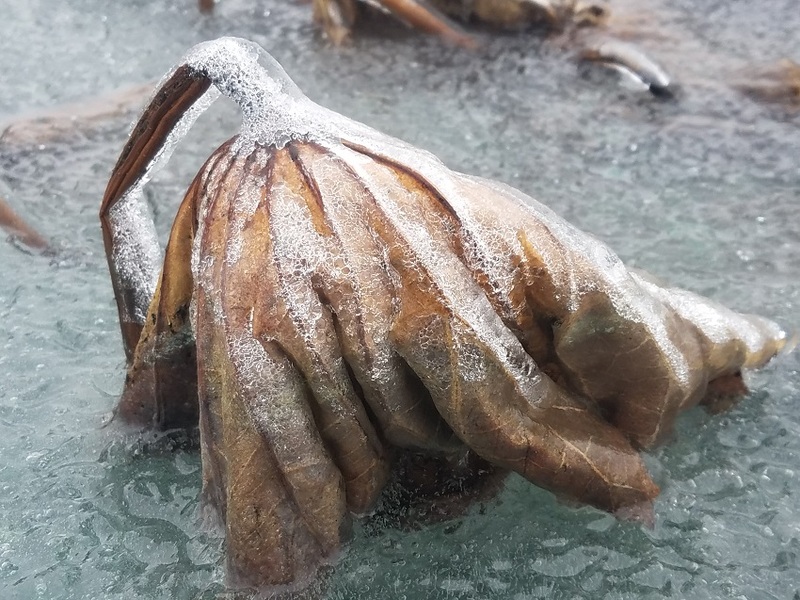 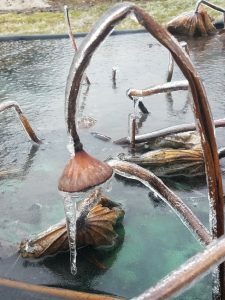 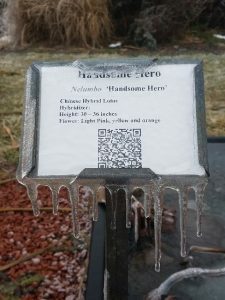 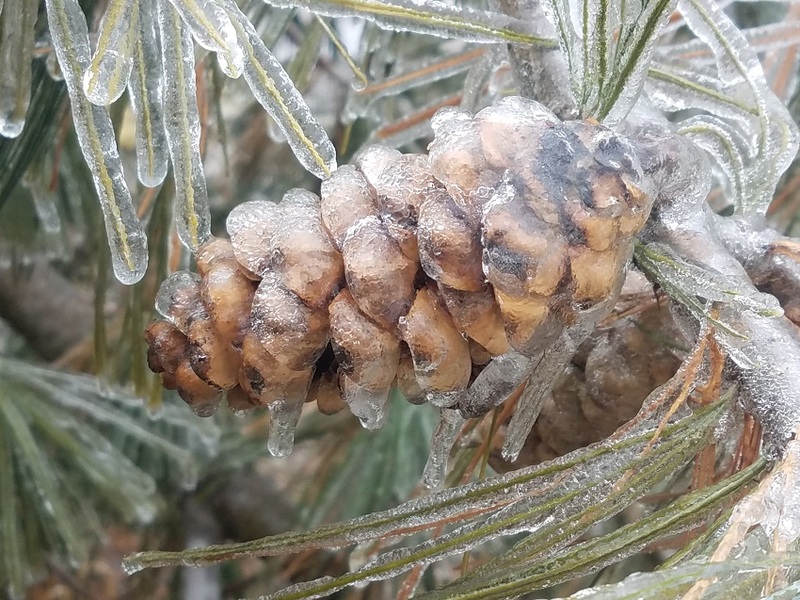 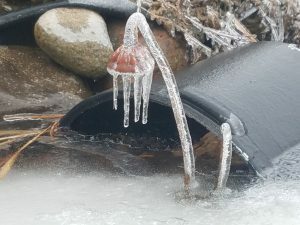 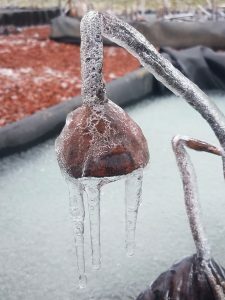 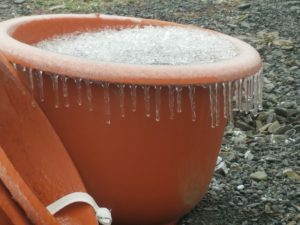 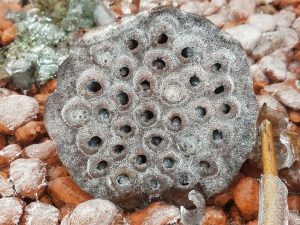 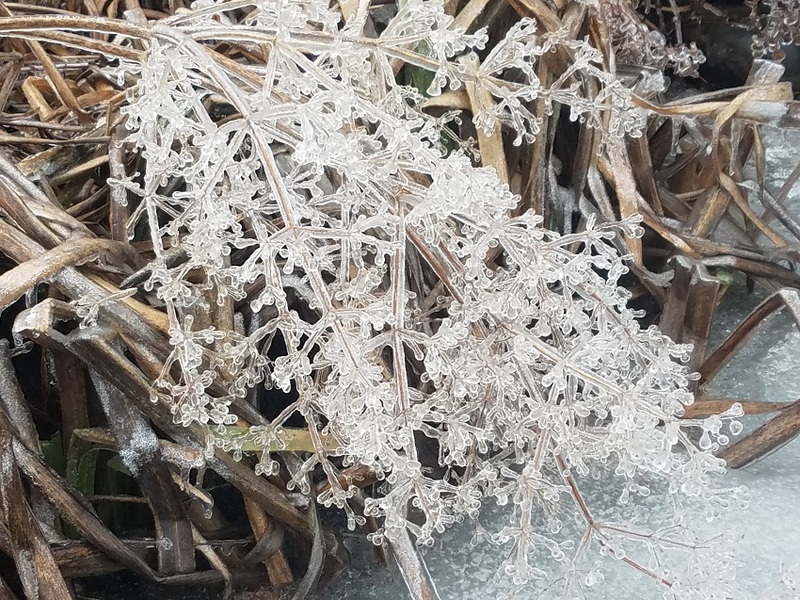 Lotus Paradise on Ice refers to an unusual “icing event” which occurred in western New York February 6 and 7, 2019. 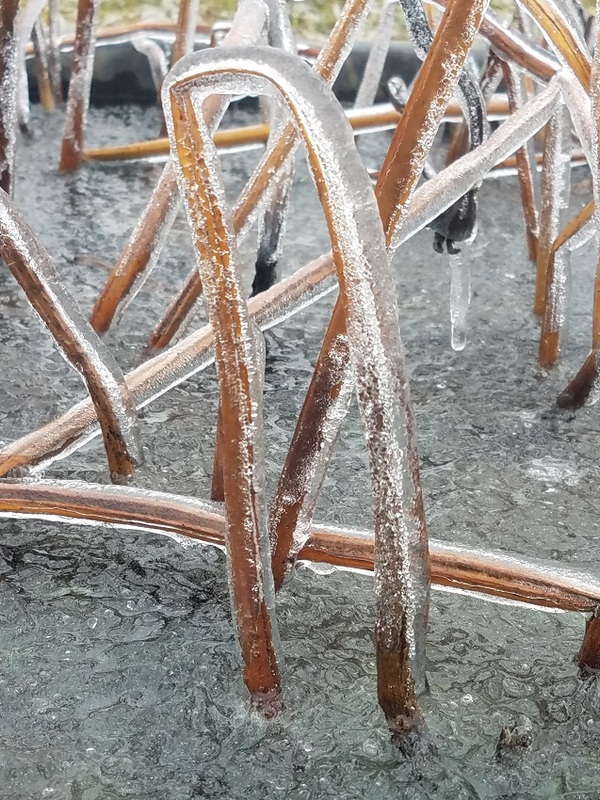 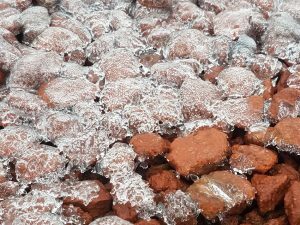 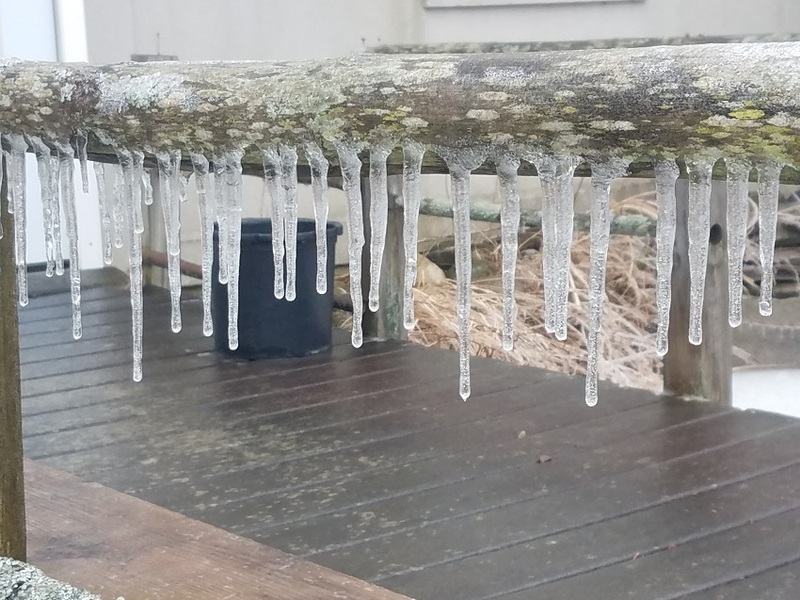 On the morning of February 6, cold air was in place and moderate rain showers fell; substantial icing took place. 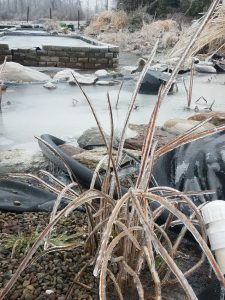 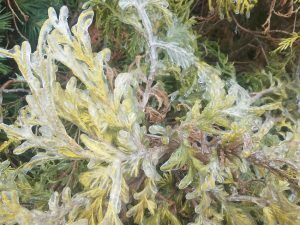 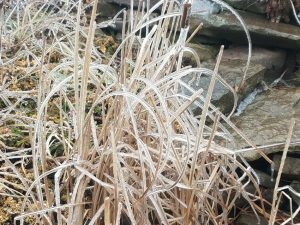 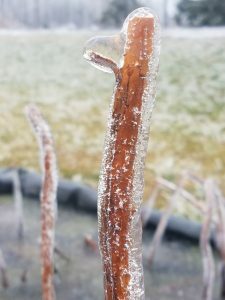 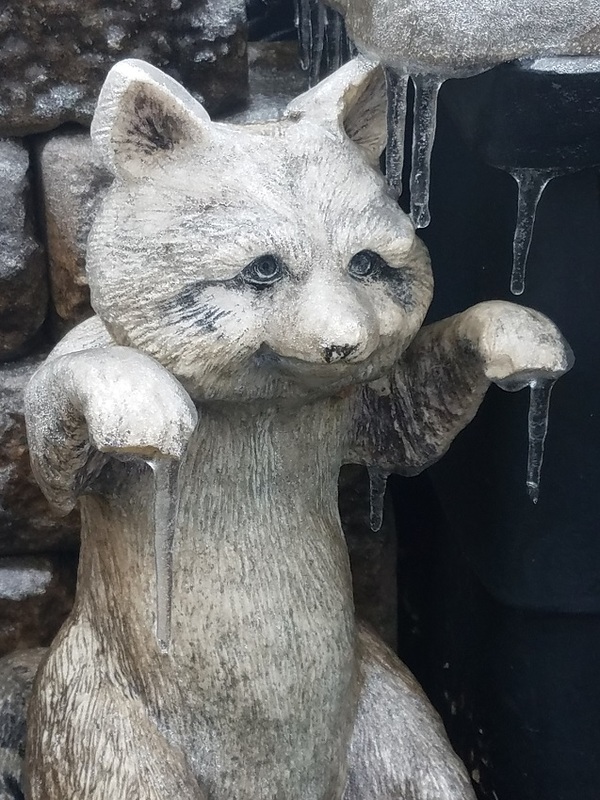 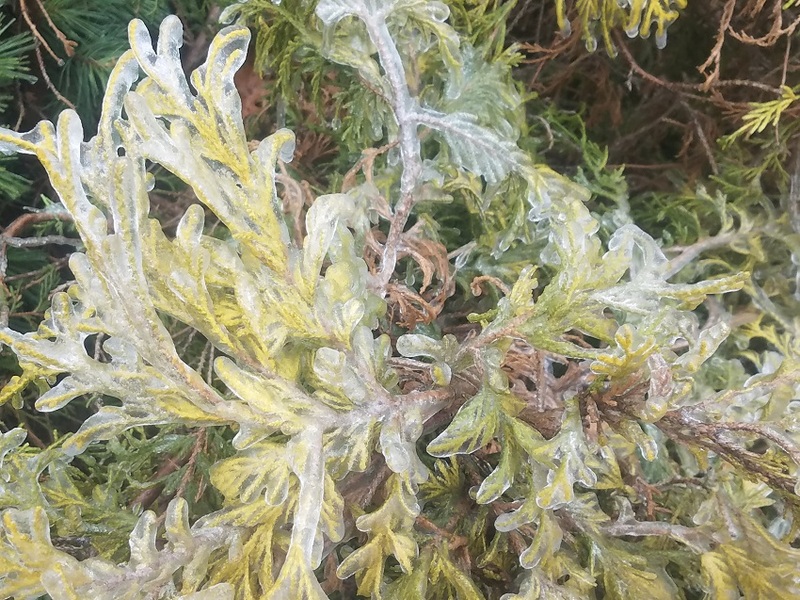 As the day wore on, temperatures failed to rise and more ice accumulated. 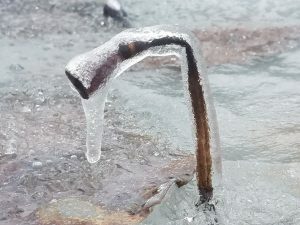 That night additional cold air funneled down from the upper St. Lawrence River, following Lake Ontario and “settling over” the Rochester, New York area ( this phenomenon is common due to our topography). 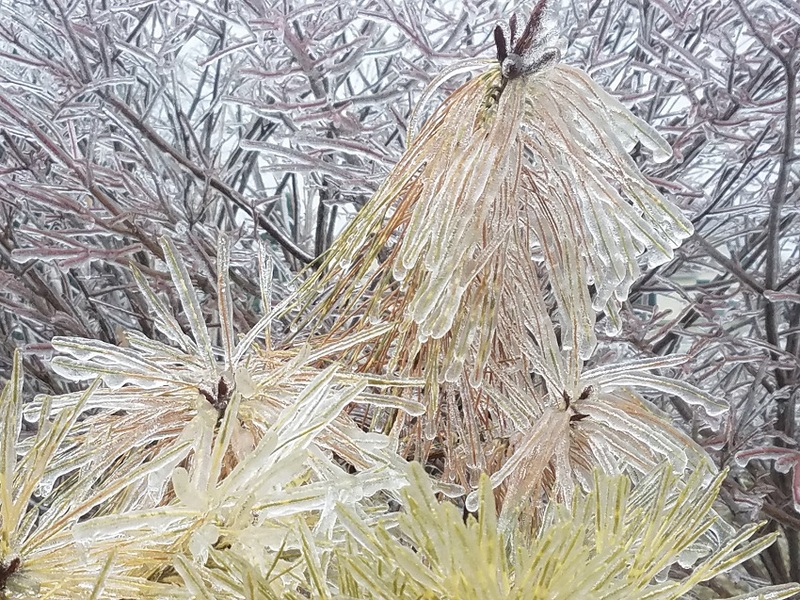 As a result, more icing occurred and stayed in place through the night of the 7th. 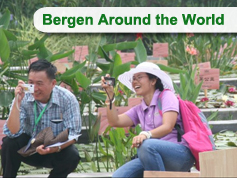 A walk through Lotus Paradise at Bergen Water Gardens that morning provided some wonderful opportunities to capture some of nature’s finest works of art! 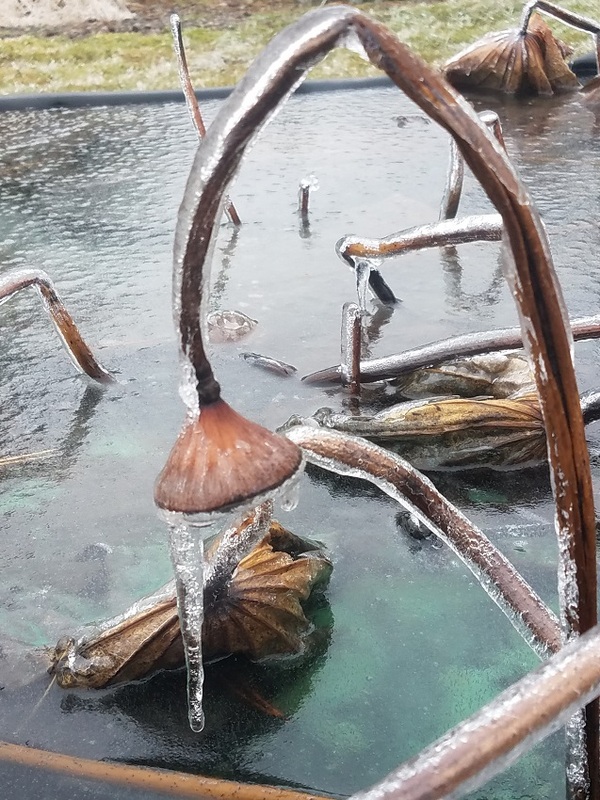 Even in the middle of winter, Lotus Paradise puts on a magnificent show! Enjoy!